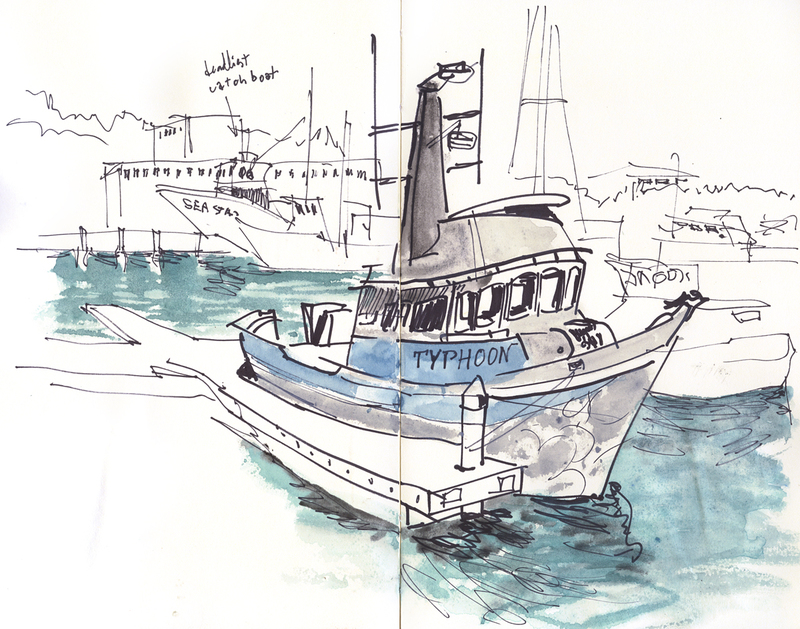 Perfect weather, great company and plenty of subject matter to draw at today's first official meetup of Seattle urban sketchers. I had a blast. Thank you all for coming! 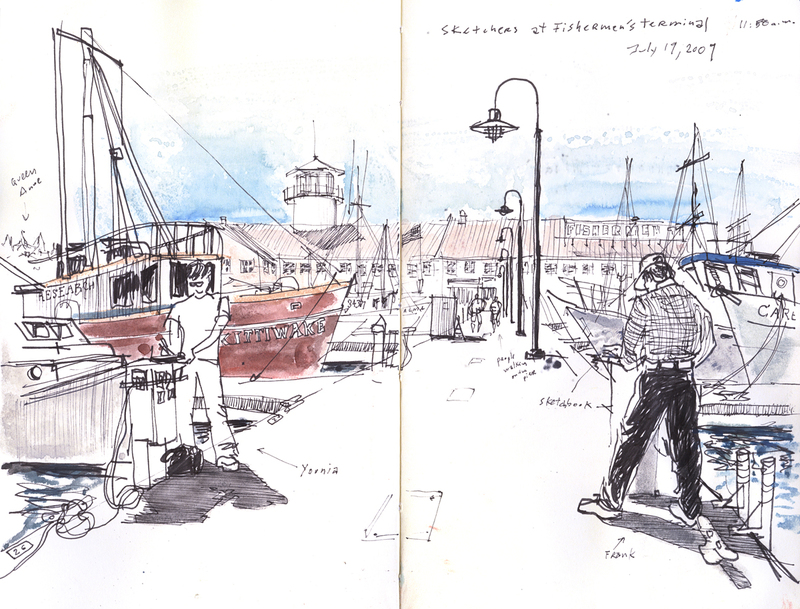 After the meet and greet by the Fishermen's Memorial, I followed Younia and Frank and looked for a place to draw. We walked along one of the docks and settled on this spot. You could see a nice line of staggering boats left and right and the terminal building with the lighthouse in the background. I'm glad I got Frank and Younia in the sketch as a record of the gathering. Both of their drawings were terrific and I hope they'll be on the blog soon for everyone to see. I also did this other sketch testing a Sakura Identi-Pen I had the impulse of buying at the University bookstore the other day. I had never seeing it and the dual tip tempted me. Back at home I added the color to see if the result was really waterproof and it was. But the ink also bled through the pages of the moleskine. Well done Gabi! I love yours sketches! one thing I love about your sketches, Gabi, is how you convey an attitude within the scene, as if it has its own sense of whimsy! delightful. Gabi even with a view from the back you captured a real likeness of Frank! Thanks for "provoking" this gathering!